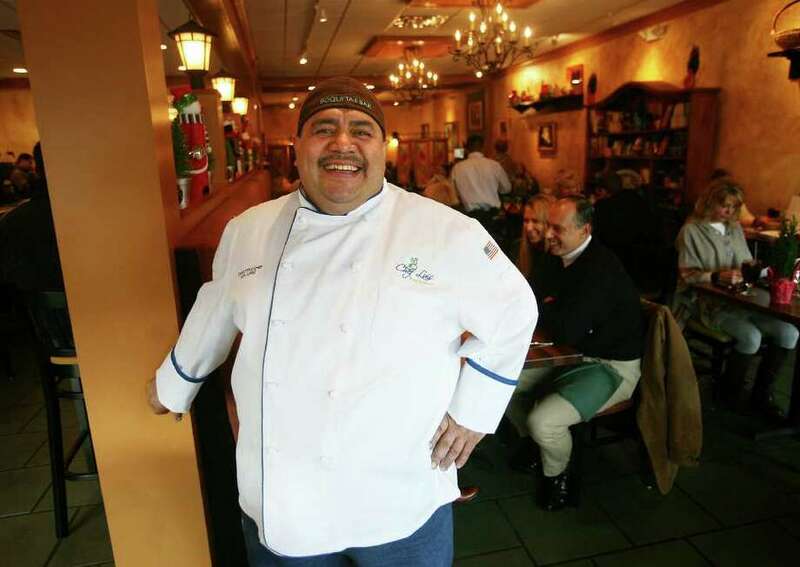 Owner Luis Lopez at Chef Luis Restaurant at 129 Elm Street in New Canaan. What started out as a tiny, BYOB, and mostly take-out place is now a full-fledged restaurant and bar in double the space. This is a risky move in any economy, but now it is downright gutsy. Granted, Luis Lopez has a loyal customer base and a long history in New Canaan, but would that be enough to fill a pretty fancy 50-seat restaurant? Well, judging from the crowds and the need for a dinner reservation every weekend at Chef Luis, the answer so far is a resounding yes. So, what is the secret to restaurant success in a down economy? It's the same as in any economy. Serve good, interesting food with fine service in a pleasing environment. The expansion here is all of this. The old space is now the boquita bar, serving light fare similar to tapas. It is inviting and warm, with a long, polished bar and a few tables that also spill out onto the sidewalk during warm weather. Both the bar and the adjacent dining room are fitted out in colorful golds, deep reds and muted green to reflect the warm Latin/Mediterranean feel of the restaurant. Pottery and rough-hewn tables add warmth and excellent lighting adds life to the room. Servers are as upbeat as the chef who seems to continually pop out from the kitchen to be sure that everyone is happy. Lopez kept the many fan favorites, some named after local friends. Savini's Quesadillas are simple enough, with blackened chicken, pico de gallo, guacamole, sour cream and lots of melted cheese. What makes them, and much of the menu, worth a namesake is Lopez' dedication to fresh ingredients, simple preparations and abundant portions. The chunky guacamole is buttery rich, pico de gallo crunchy and spicy, blackened chicken moist and tender and tortillas warm and crisp-edged. Lupica's pasta, devoured by patrons at the tables on all sides of ours, lives up to its reputation, with tender shrimp, big chunks of lobster, chopped fresh pear tomatoes and lots of garlic tossed with al dente pasta and finished with a sprinkling of toasted bread crumbs. Bonnie and Sheila's salad is a fast-paced toss of Asian pears, Chilean grapes, sun-dried cranberries, roasted pistachios, cabrales blue cheese and baby lettuces in a fresh orange and mustard vinaigrette. But our hands-down favorite is Hawkins Calamares, barely dusted with seasoned flour, then flash fried to a batterless crunch before being briefly tossed with hot chile peppers and diced chorizo, finally finished with a sauce of fresh tomato concasse. This dish lingers in memory as the best version of fried calamari ever. With several unusual salads, from the house special of lettuces with apples, peppers, candied pecans, gorgonzola and lemon cilantro vinaigrette to a hearty picadilla with cucumbers, gold tomatoes jicama, charred corn, beans, avocado, tortilla croutons and cotija cheese with a citron vert vinaigrette, salads could be a meal. But the main courses are worth going easy in the beginning, which means refraining from the excellent bread and olive oil dipping. Pastas, from a simple pappardelle with black truffles, cream and Parmesan to a more complex chicken with onions, fresh tomato and mozzarella with jumbo rigatoni, are all winners. Pan- roasted sea bass with garlic-roasted baby tomatoes and spinach is bright with fragrant cilantro gremolata. Pollo sangria, marinated in the fruit and wine concoction, is pleasing with mashed potatoes and haricots vert, but the flavor needs a bit more spice to really be detected. Desserts are brought in, and the best is the warm chocolate chip lava cake that is the gooey memory of childhood grabbing warm cookies right out of the oven, but here is all grown up with a scoop of melting vanilla gelato and fresh raspberry/strawberry drizzle. 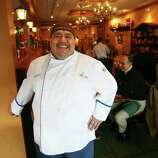 Chef Luis, with no glitz or glamour, has the secret to success in any economy. Good food, presented and served well in a pleasing setting.